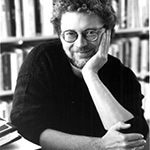 SVEN BIRKERTS is the author, most recently, of The Other Walk: Essays (Graywolf). Other books include Reading Life: Books for the Ages (Graywolf) and The Art of Time in Memoir: Then, Again (Graywolf) and he is Director of the Bennington Writing Seminars and Editor of Agni. He has work forthcoming in Threepenny Review and Brick.